This week at Flashbak, I wrote about the history of Star Trek, in celebration of its 50th anniversary, especially as in regards to tie-in products. Specifically, I looked at the Bantam Books series adaptations penned by James Blish. “The year 2016 marks the 50th anniversary of the original Gene Roddenberry series Star Trek (1966-1969). Today, of course, Star Trek fans or even the curious uninitiated can simply click over to Netflix or Amazon Prime to watch all the episodes of the landmark science fiction series. Each of the approximately eighty stories is available there for watch and re-watch. For an earlier generation of Star Trek fan, however, this Age of Plenty is something new and quite different. When Star Trek aired on NBC in prime time in first run, one could watch the new episodes at the appointed time or catch a rerun sometime later. Even fans like me -- who grew up when the show was in local syndication in the 1970s -- were at the whim of capricious programming executives and their schedules. You never knew which episode would air next, or it would be pre-empted for baseball. 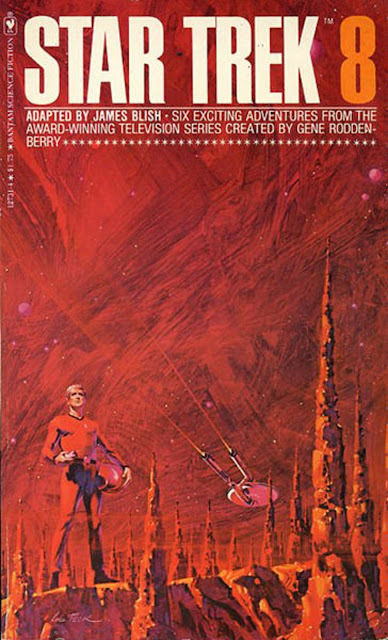 One way to familiarize one’s self with the stories in those long-gone days, however, began in 1967 with an acclaimed author named James Blish (1921-1975). This Hugo Award-winning author and literary critic (writing as William Atheling) penned a dozen episode adaptation compilation books: Star Treks 1 – 12 (1967-1977). When I was a child, these volumes were much sought-after paperbacks, even though the written stories by Blish (and later, J.A. Lawrence) often differed substantially from the final aired episodes. John nice thoughts on these important Star Trek novels. Like yourself and many of your readers, I owned several of these, and even have a poster of the artwork for the first book which I am going to get framed someday. Not too long ago, I finally picked up and completed James Blish's original Star Trek novel, "Spock Must Die." I soon understood why I never finished it when I was a wee little lad. If Blish had never seen a minute of the show, that would explain a lot. The book reads like a pulp 50's version of Star Trek, with surreal gadgets and dialogue that doesn't even sound like Kirk, Spock and McCoy. 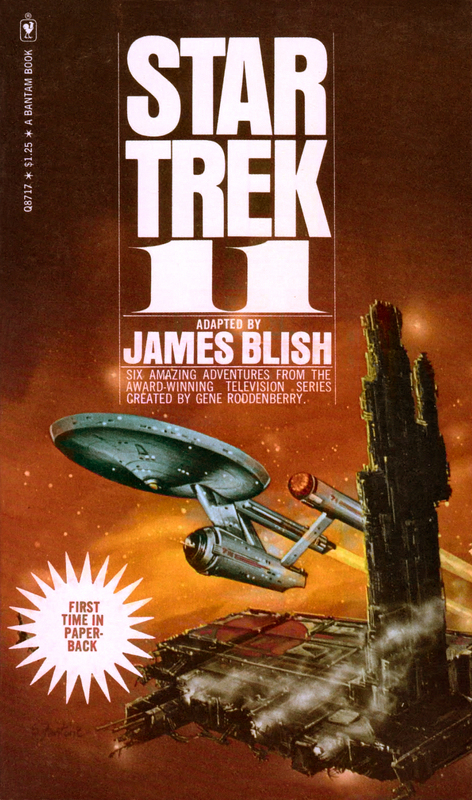 It's been said that Roddenberry was not happy with the first few books, and I'm wondering if this one was written when there was nobody at the good old quality control wheel. Others may remember it more fondly than I do, but it was, in the words of Spock himself, a fascinating experience.